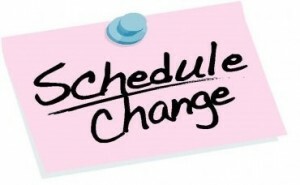 High school students will be starting their second semester on Wednesday, January 30th, and that means a schedule change for the entire school. Your child will receive a new schedule next week. Students should have their schedule in the front of their agendas. Last week Prestige School had a bonus pizza lunch to test out Domino’s Pizza. Students and teachers were impressed with the quality of Domino’s Pizza and Prestige School will now be offering Domino’s Pizza twice a month for lunch. Students in KG to grade 5 and those students that are enrolled in the lunch program, will automatically get their second pizza lunch, they do not have to pay extra. Students in grades 6 to 12 that are not enrolled in the lunch program will have to pay for the second pizza lunch, if they want to join in with the rest of the school. Parents are asked to contact the office to pay for this second pizza lunch. The dates for the second pizza lunch are not casual days. Students need to wear school uniform on the above days. 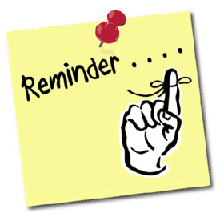 Reminder for next week’s field trips: students need to be in full school uniform, bring a lunch and water. If your child is not going on the field trip, then you must find alternate supervision, as there won’t be teachers at school to watch them. On Friday, February 1st at 10 a.m. there will be a guest speaker at this year’s MS Read-a-Thon Kick-off Assembly. The speaker will inform students about MS, explain the MS Read-a-Thon, reveal this year’s bonus fundraiser for MS, and our goal. KG to grade 2 will be going to Harbourfront Centre on Wednesday, February 20th. Grade 3 – 8 will be going to the ROC on Thursday, February 21st. Forms and money for both trips are due Wednesday, February 13th.